Would you like to be the first to hear about the G10 ? Renowned for their versatility and reliability, LDV models are the number one choice for thousands of commercial drivers in the UK. As a brand that manufactures reliable and trustworthy models, many businesses and individuals choose LDV for a consistently high standard of drive. Select from models such as the G10 Panel Van coming soon to West Midlands Hire. The G10 Panel Van can be purchased as a stylish MPV with a difference, or as a cargo van. 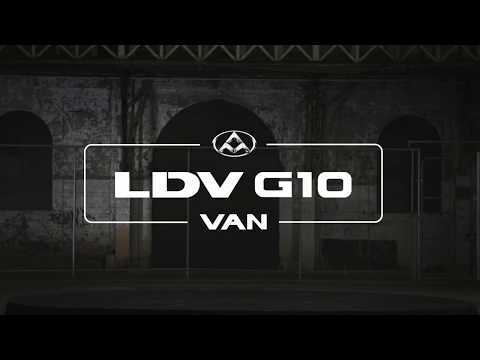 With its option of 2.0-litre or 2.4-litre engine, the LDV is a powerful and dependable large model that can deliver consistently well on the long-haul journeys, such as the motorway. The G10’s exterior boasts modern features like halogen lights and LED high-mounted stop lights. Enjoy the convenience of a dual sliding door for access, and comfortable interior features such as premium woven seats and adjustable settings for height and posture for the driver. Both the cargo and the MPV model come with many intelligent safety features as standard. The high absorbing steering wheel keeps you focused and in control when driving, while the high strength frameless body and high rigidity front door impact beam reduces the impact of collisions. The G10 is light and easy to drive, but solid and capable of demanding commercial duties. You can also rest assured with the enhanced ABS and EBD system that provides a sustained performance. Through West Midlands Hire, we can arrange a flexible finance plan that caters to your needs. You can also benefit from great deals such as five-year roadside assistance and a five-year warranty for your peace of mind. Contact the team at West Midlands Hire today to hear about our current offers and to find out more about our range of Panel Vans. We work with BNP Paribas. Finance is provided Subject to Status.